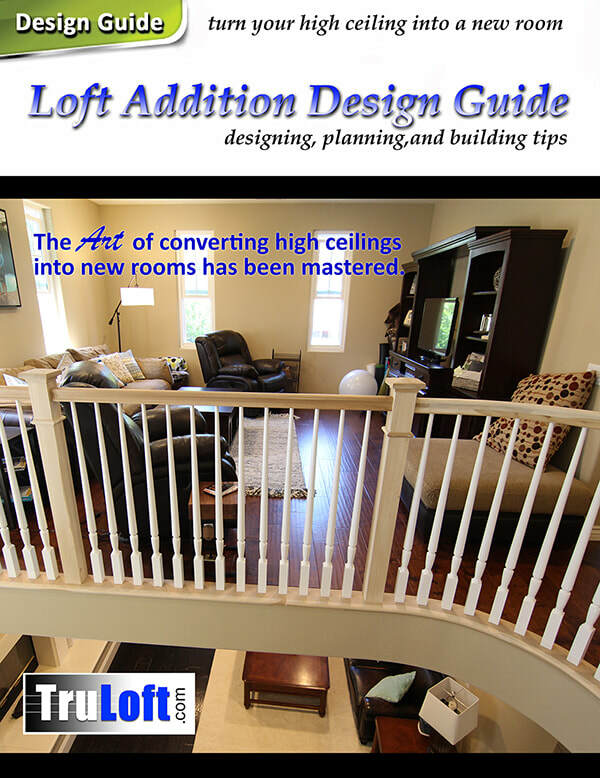 What is a loft addition? In California many homes have been built with high ceilings. If your home is already two stories with high volume or vaulted ceilings it may qualify for a cost-effective addition known as a loft addition. A loft addition is a common term used when converting a high ceiling into a new room. However, a loft addition is not limited to just building an open loft. High ceiling room conversions can be converted into a new bedroom or bathroom. In fact, a high ceiling can be converted into just about any kind of room you need as long as it meets building code requirements. TRUPLANS #187286 - expert loft addition design, planning and permit team (covering all of California). TRUADDITIONS #1031746 - expert loft addition construction team (covering Southern California). TRULOFT.com is the home of the high ceiling conversion experts! Each company is individually licensed and all possess the highest levels of experience in the field of loft addition design and construction.